You WHAT? You TUBE! That’s right, it’s a revolution in the making. Are you interested in finding out how you can become an instant celebrity? Get ready for your inspiration. Thousands of individuals throughout the world are using YouTube.com as a tool for gaining instant recognition, and now you can too. Are you interested in learning more about what YouTube can do for you, but have no idea how to load or create your own videos? The fact is, you are not alone. Most people using YouTube.com started out with little or no knowledge about this innovative new technology. You do NOT need a digital camcorder. You do not need to know html. You do not need to be a webmaster! All you DO need is a little creativity, and about five minutes of your time to register. 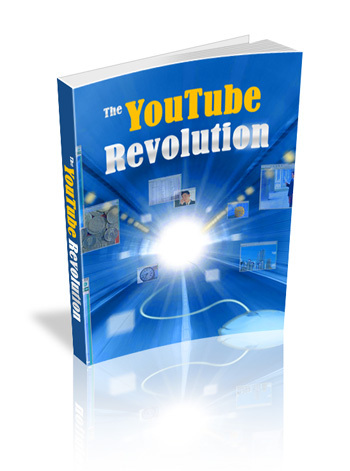 Join the YouTube revolution – it’s not just a game anymore – it’s the magic bullet you’ve been looking for.